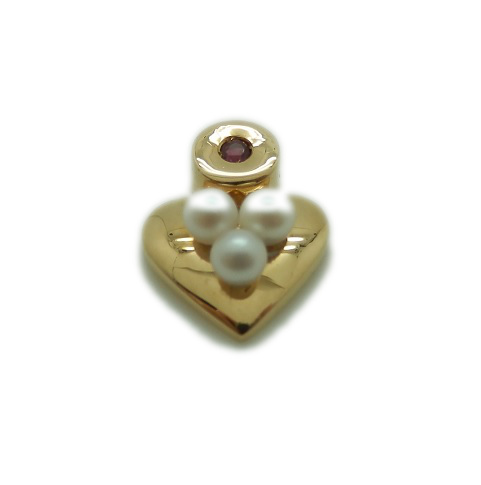 PENDANT shape heart in 18K gold, 3 cultured pearls (3mm diameter each), and a Ruby. SIZE heart 16mm long X 12mm wide. TOTAL PENDANT 1, weight 80 gr.